OR Uberlayer Jacket, with its Active Insulation technology, is called most versatile backcountry jacket tested this year. SEATTLE, Wash. (Sept. 29, 2015) – Insulated jackets that can be worn comfortably across a wide range of temperatures and conditions are one of the hottest categories in the Outdoor Industry, and Outdoor Research’s Uberlayer Hooded Jacket “has perfected the concept,” according to Outside Magazine. This week, Outside bestowed its 2016 Gear of the Year Award on the Uberlayer. The award is highlighted in the Fall 2015 Outside Buyer’s Guide. "The Uberlayer was the most versatile backcountry jacket we tested this year,” said Axie Navas, editor of the Buyer’s Guide. “Our testers put it on, then kept it on, in temperatures ranging from below freezing to over 60 degrees." Leading the industry in the category of Active Insulation has been a goal at Outdoor Research through the last several product development cycles, driven by the core OR brand pillar of ‘Innovation that Works’ – innovating in a way that truly improves the user’s experience, not simply using new technology for new technology’s sake. Over the last year, Outdoor Research has introduced three different jackets with Active Insulation technology. In each of those jackets, Outdoor Research looked in depth at how the different layers and materials in the jacket – insulation, inner liner and outer shell – complemented each other to breathe more effectively during aerobic activity, yet also trap hot air for warmth when stopped. The Uberlayer is the most recent addition to OR’s Active Insulation line, and reflects another Outdoor Research brand pillar, ‘Improve Every Day. 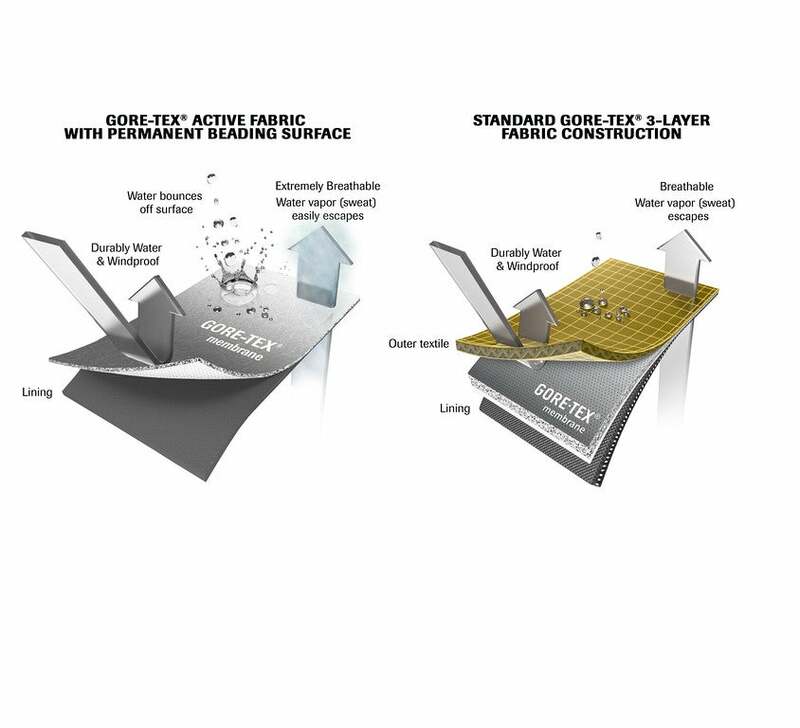 With its pairing of Polartec Alpha insulation, a nylon stretch-woven exterior, and highly breathable polyester stretch mesh internal liner, the Uberlayer is perfect for alpinism, ski touring or any other kind of aerobic activity that involves higher exertion in cold conditions. It provides the warmth of a synthetic puffy one moment, and the breathability and quick-dry performance of a fleece the next, all without forcing the wearer to add, remove or adjust layers. Men’s and women’s fits are available. It retails for $299. Outdoor Research’s Active Insulation technology has received numerous accolades in recent months. Its Deviator Hoody, a lighter-weight Active Insulation piece introduced in Spring 2015, won a 2015 Backpacker Magazine Editors’ Choice Award, and was recently highlighted in a Runner’s World story on the season’s best running jackets, highlighting its versatility for different sports.